Clean modern lines and and an extendible design make the Astor Dining Table from Modloft the ideal solution for a dining space that's casual enough for everyday use but large enough for regular entertaining. Offering generous proportions at any size, the contemporary extendible dining table quickly transforms from a medium size designed for eight people to a large size that accommodates up to ten guests. Each end of the table easily extends to reveal a hidden center leaf for a seamless transformation. A slender yet sturdy pedestal style base is specially designed to support the table top at any length. Make the Astor Dining Table your own by choosing a crisp, contemporary finish that will fall effortlessly into place among your existing d�cor. Hello, from which species of wood is the table made? The Astor Dining Table is made of MDF, with a wood veneer of your choice. Can I pay to have the table assembled? Yes, we do have options for inside delivery and assembly during the checkout process, at an additional cost. How many extendable leaf's are included? Are they self storing? The Astor Dining Table has 1 leaf included which is self storing. Closed it is 71" wide and open it is 94" wide. Do you offer this table in black color? 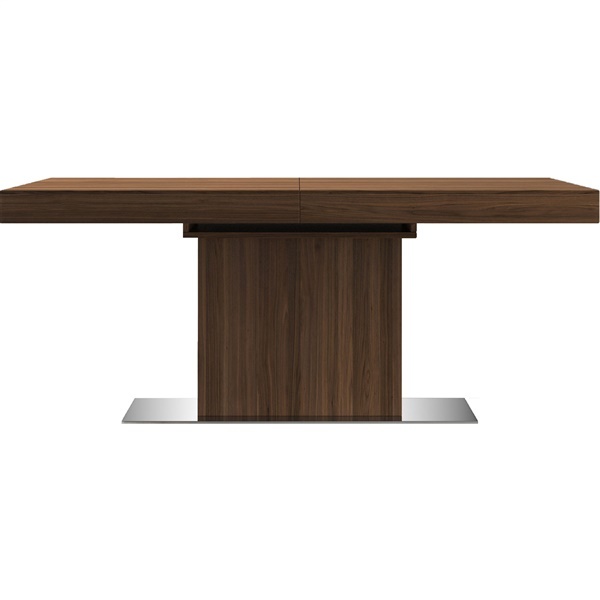 The Astor Extendable Dining Table is only offered in walnut, wenge (which is a very dark brown color) or white lacquer. It is not offered in black at this time. What is the height of the table from the ground to the under side? How thick is the tabletop? The Astor Extendable Dining Table has a base height of 25" (From ground to underside of table top). 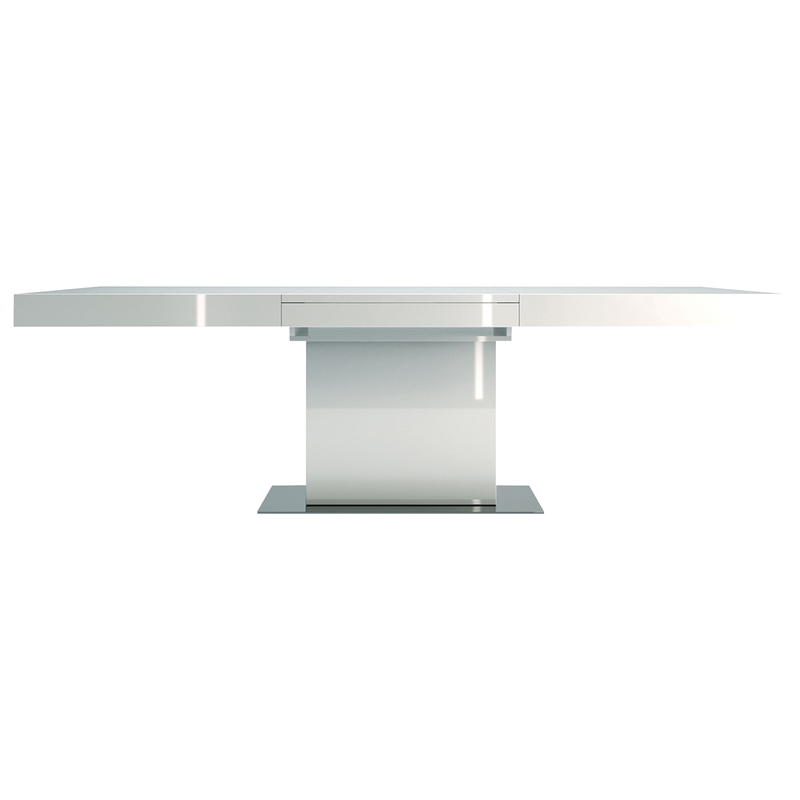 The Astor Extendable Dining Table's solid, sturdy table top is 5" thick. I see the wenge finish on the Astor table is on backorder. When is the anticipated ship date? Also, can it seat 12? 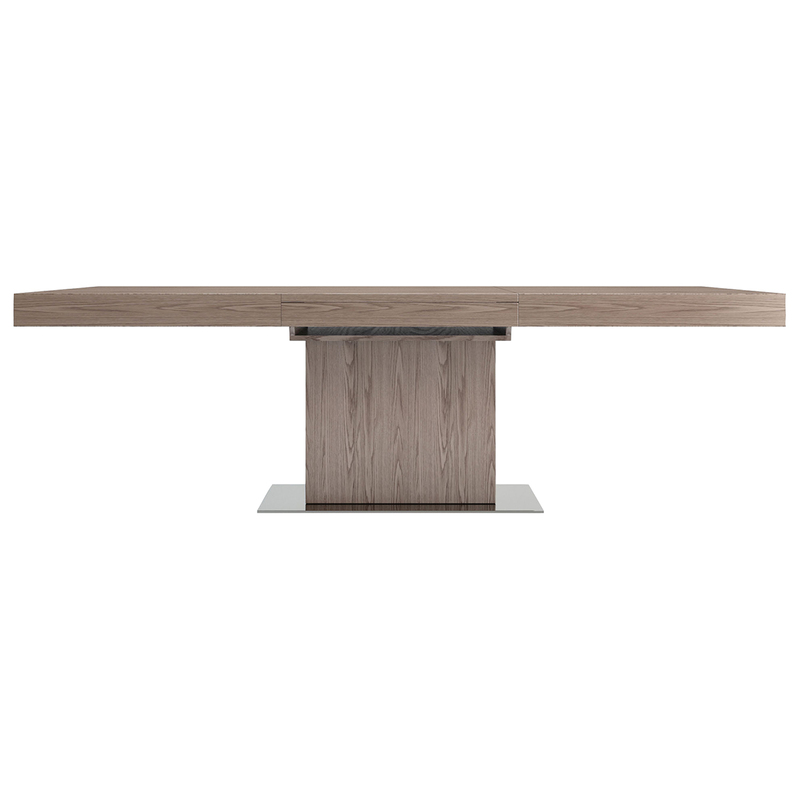 Thank you for your interest in the Astor Extendable Dining Table by Modloft! The Astor Extendable Dining Table in Wenge has an estimated re-stock date of "May", however this is only an estimate provided by the manufacturer and is subject to change. As for the seating space, the Astor Extendable Dining Table can comfortably seat 10, but depending on the size of the chairs used it may also be able to fit 12 (level of comfort subjective). hi, do you deliver to Australia? We can ship our items to Australia. In order to get a shipping quote, please use our contact form to reach us. Please include the item you would like and your delivery address.